From your hotel in the very center of Deadwood you are in the thick of the action, you’ll walk amongst gunfighters and tourists, saloon girls and shopkeepers and enjoy every minute of a town that thinks they’re living in 1876. You spend one full day with Deadwood sightseeing, and one full day deep in the Black Hills. You’ll eat at Kevin Costner’s Midnight Star, ride Jeeps through a Buffalo Herd, and discover the beauty and history of these sacred hills. This is Travel that’s Fun! The Best Hotel, the best sightseeing. If you only live once shouldn’t you have a good time? Custom Prices, please contact us for a quote. Day 1 – Drive through Badlands National Park. These striking geologic deposits contain one of the world’s richest fossil beds. Ancient mammals such as the rhino, horse, and saber-toothed cat once roamed here. The park’s 244,000 acres protect an expanse of mixed-grass prairie where bison, bighorn sheep, prairie dogs, and black-footed ferrets live today. Then visit the famous Wall Drug Store. Arrive in Deadwood, SD. Check into your local hotel for a three night stay. Free Evening to enjoy the town. Day 2 – Today you will enjoy a full day of Black Hills touring, starting with a tour of Deadwood. Next, visit the Trail of 76 Museum one of the most complete collection of historic wagons, antiques and native artifacts in the Black Hills. Then visit Tatanka the incredible life size sculpture of a buffalo jump and learn the ‘Story of the Buffalo. There will be free time in Deadwood for Ramblin & Gamblin and to enjoy the Mount Moriah Boot Hill Cemetery, where Hickok, Calamity Jane and many of the famous former residents are buried. Dine at Kevin Costner’s Diamond Lil’s restaurant, at the Midnight Star Casino. See the shooting in Old #10 Saloon, then watch as Jack McCall is run down in the street and put on trial for the murder of Wild Bill Hickok. 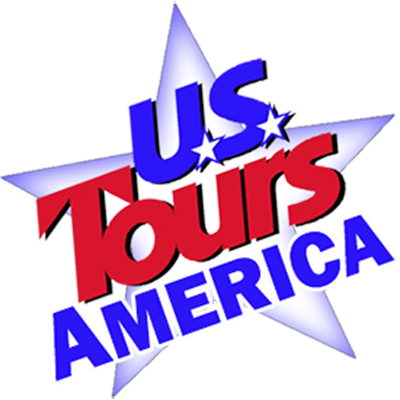 Day 3 – Enjoy a Second Day of touring starting with a visit to Bear Country USA. Drive through Bear Country USA featuring the world’s largest collection of privately owned black bears. Take a leisurely 3 mile drive through this spectacular wildlife park nestled on 200 acres of Black Hills beauty where you’ll see black bears, grizzly bears and over 20 other species of North American animals like buffalo, wolves and elk all from the comfort of your vehicle. After your drive through tour, walk around Babyland where baby bears frolic in the outdoors. Then you arrive at Mt. Rushmore in time for lunch on own. You will have plenty of time to walk around, photgraph and explore the monument. The afternoon features a jeep tour at Custer State Park. Drive past herds of free roaming buffalo, antelope, prairie dogs and more. The wildlife in this park is beautiful. Next, visit the Crazy Horse Memorial, the still unfinished mountain carving dedicated to Native Americans. You will also visit Hill City with thanks to the Crazy Horse Memorial it is a rejuvenated arts community, featuring funky shops, galleries, and boutiques. Dinner is included tonight at Crazy Horse’s Laughing Waters Restaurant. Day 4 – After breakfast, depart Deadwood and head for home.